We use 2 solar panels to run our lights and our other electrical needs, which are few. 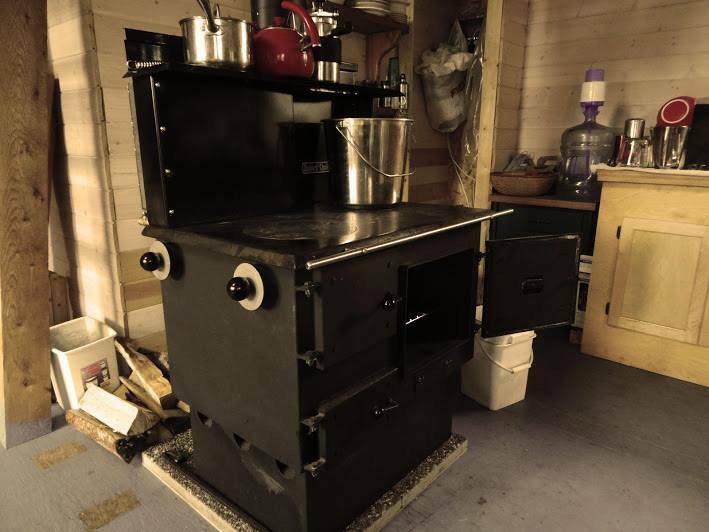 We cook and heat the cabin with this here awesome wood stove. Firewood is an essential. 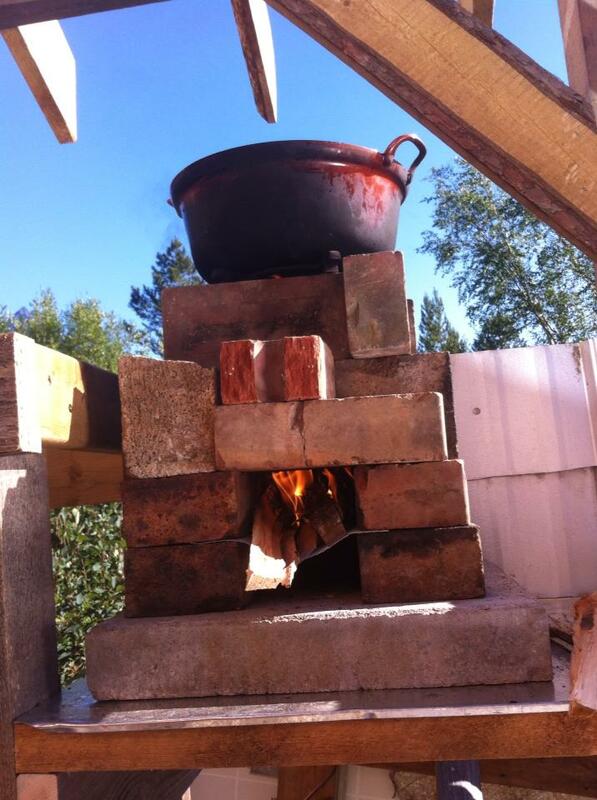 In the summer we cook outside with a Rocket Stove. It only takes a few sticks to boil a pot of water! 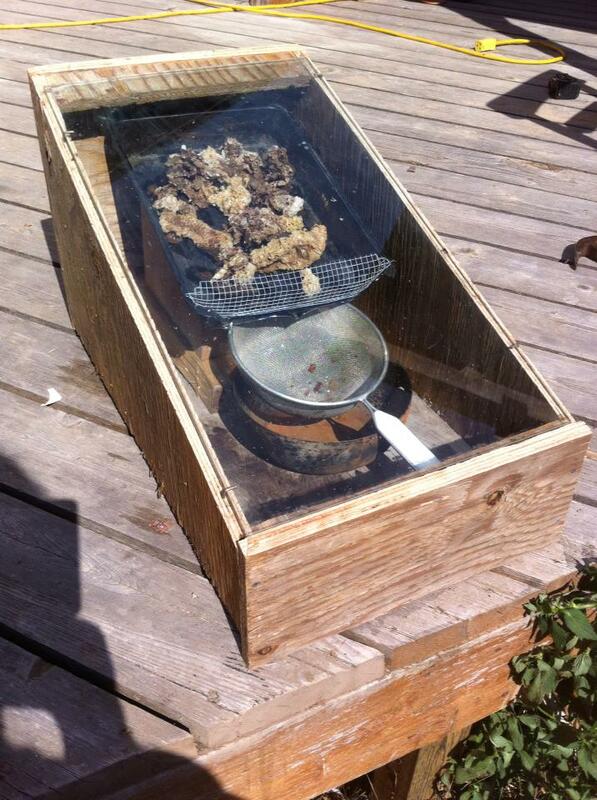 This is our solar beeswax melter and filter. 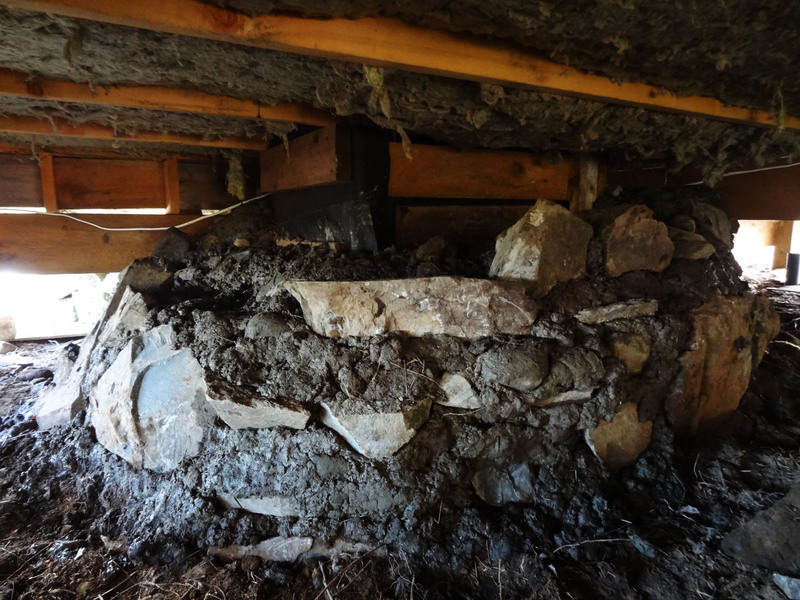 We use beeswax for making salves, lotions and candles. 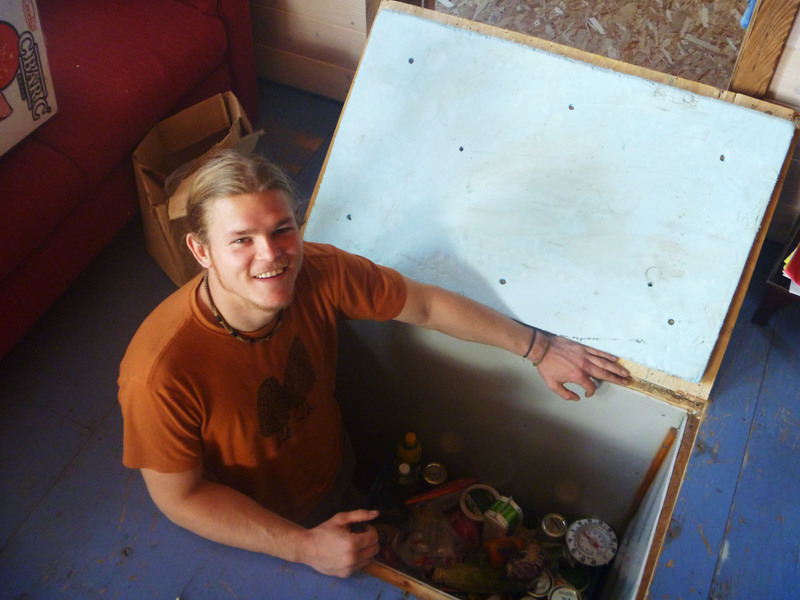 Our fridge is a hole in the cabin floor, insulated with straw cob, tapping into the earth’s cooling temperatures.